We all know that Obama has put a moratorium on Gulf of Mexico drilling for the USA. Over 10,000 us jobs are on the line and the impact is accelerating as the rigs in the gulf finish up and have nothing to do for income. A large floating rig can run $1/4 Million / day on lease income, so you don’t just sit around for 6 months (or 3 years?) waiting for a policy to change. You move to another country with oil to drill. MEXICO CITY (Dow Jones)–Mexico’s state oil monopoly, Petroleos Mexicanos, or Pemex, would get a boost in its investment funds for next year to about $22.2 billion under the 2011 federal budget proposal presented by the executive branch to Congress. Pemex’s estimated investment budget for this year is $20.4 billion, according to the company’s latest figures. The oil company’s 2011 investment would be equal to 2% of the country’s estimated gross domestic product–the same as for 2010. But Finance Minister Ernesto Cordero, who submitted the budget to Congress late Wednesday, said the ministry is expecting the economy to grow by 3.8% next year. Pemex will still provide close to one-third of the government’s income through taxes and royalties, according to the proposal. But Pemex is State Owned. Part of the Mexican Government. Any way we could invest some money in it? (I don’t know who these folks are, but they seem to have their facts straight). The U.S. Export-Import Bank, an independent federal agency, loaned more than $1 billion to the Mexican state oil company PEMEX in 2009 to support the company’s oil drilling in the southern Gulf of Mexico. (CNSNews.com) – The U.S. Export-Import Bank, an independent federal agency, loaned more than $1 billion to the Mexican state oil company PEMEX in 2009 to support the company’s oil drilling in the southern Gulf of Mexico. The bank has another $1 billion in loans in the pipeline for 2010, unless Congress objects. 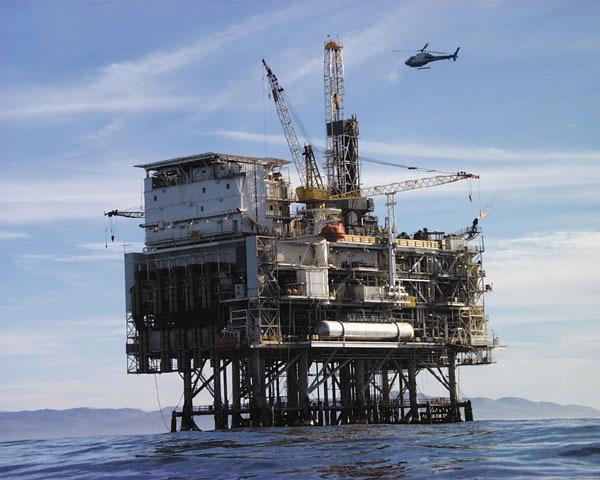 On May 27, after the British Petroleum oil spill, President Obama imposed a moratorium on U.S. deepwater drilling in the Gulf, effecting 33 deepwater drilling rigs in the region. PEMEX was the Export-Import Bank’s largest borrower in 2009 and has borrowed $8.3 billion from the U.S. federal government since 1998. Under the 2009 loan agreements, PEMEX agreed to contract with American firms and purchase equipment from American manufacturers in exchange for the money. So even while the Federal Government says US companies can not drill in the Gulf, it is funding the Mexican Government company PEMEX to drill in the gulf. There are two possible explanations. 1) It is a deliberate attempt to damage American Oil and enhance government run monopolies, as socialist policies typically lean that way. 2) It was done from ignorance and error. One part of the government having no idea what the other was doing, and being horridly uncoordinated. You read that headline correctly. Unfortunately, the Obama Administration is financing oil exploration off Brazil. The U.S. is going to lend billions of dollars to Brazil’s state-owned oil company, Petrobras, to finance exploration of the huge offshore discovery in Brazil’s Tupi oil field in the Santos Basin near Rio de Janeiro. Brazil’s planning minister confirmed that White House National Security Adviser James Jones met this month with Brazilian officials to talk about the loan. The U.S. Export-Import Bank tells us it has issued a “preliminary commitment” letter to Petrobras in the amount of $2 billion and has discussed with Brazil the possibility of increasing that amount. Ex-Im Bank says it has not decided whether the money will come in the form of a direct loan or loan guarantees. Either way, this corporate foreign aid may strike some readers as odd, given that the U.S. Treasury seems desperate for cash and Petrobras is one of the largest corporations in the Americas. But look on the bright side. If President Obama has embraced offshore drilling in Brazil, why not in the old U.S.A.? The land of the sorta free and the home of the heavily indebted has enormous offshore oil deposits, and last year ahead of the November elections, with gasoline at $4 a gallon, Congress let a ban on offshore drilling expire. So let me see. We have the US Government providing funding for oil drilling by a couple of State Owned oil companies, one with partial public ownership and where a major Socialist Supporter and political donor to the Democrats had just made a major investment. Then we have a new US ban on US drilling, that just happens to benefit most the large Socialist leaning donor… Hmmm…. I’d also note that Petrobras is doing some of the deepest water drilling in the world, so that whole idea that money is only going to shallow water drilling looks a bit weak to me. Well, it looks to me like the larger offshore oil drillers have bottomed out and started a new rise. RIG (which moved from the USA to Switzerland for better legal treatment) and DO are both looking like a bottom to me, as is oil (USO). Mexico EWW is rolling sideways, so suited for range trading. (We already saw last week that EWZ Brazil showed an entry call as did PBR / PBRA Petrobras). OK, I think the “game” here is pretty clear. Find a Socialist Whale who is politically well connected, watch what he invests in, then buy it; wait for him to buy off the needed politicians to assure the investment has a guaranteed return. Looks like about a 2 month lead time on buying in. This entry was posted in Economics - Trading - and Money, Political Current Events and tagged Obama, oil, Stock Trading. Bookmark the permalink. it looks like Soros is making a big move into Monsanto and InterOil and it looks like he is starting to move into Massey Energy Company, which is interesting. Sure it’s only 1.8% of the portfolio but it was an increase of over 377%. At the same time it looks like he’s dumping Suncor (a 94% decrease in holdings). Another interesting aspect is that he has many interests in Gold in both basic mining metals (NovaGod Resources, Kinross Gold corp and Allied Nevada Gold) and financial sector (SPDR Gold). The Massey Energy move is the most interesting since that is the “big bad coal company” the Obama administration is suppose to be looking into since that mine disaster. Massey is also suppose to be the Big Coal company that funds climate skeptics and gets attacked by the Soros funded Climate Progress blog. Hmm interesting thought: attack with your funded “think tank”, drive stock prices down and then buy it up. Isn’t this guy Sornose the one doing all the typing on that teleprompter whenever BO says anything? Now, I’m not saying that the Pres has been bought and paid for, no, not saying that at all. But it sure seems he has a sore nose most of the time and only wants to be the Pres for 33.3% of the folks here who can call themselves bonafide citizens –the other 10-13% of his supporters don’t even have a greencard. Is it too late to have a recount of that last election to see if Palin didn’t win after all? I sure liked her! In fact she’s the only reason this two score independent even voted for a Pres. Bet Sornose couldn’t have put her in his pocket or made her use one of his teleprompters every time she wanted to say more than two words. Let’s have another recount. That Florida recount for Bush and Fat Albert was fun. PS: Don’t EVER give a Pres (any Pres) a blank check*. *-Control of Both Houses of Congress. PPS: Isn’t Ol’Sornose getting on in years? Isn’t there reason to hope? @Boballab: I think it was your comment that got me watching the chart during his speeches… and looking into the oil connection. The problem with waiting for someone to die to gain freedom from this is that they have folks waiting in the wings to take over their niche. Glad to see your mind working on these issues. We need more. Thanks. Not too long ago Glenn Beck did a segment on his TV show where he mentioned that Soros was snapping up gold and pointed out where Soros said the economy was tanking. That was the only place on a major TV outlet that mentioned that. To me if a guy like Soros is running for the “economic hills”, with his political as well as financial connections, you would think people would notice. However whats funny is that the Dems and the Obama Administration went after Beck for his having Gold commercials on his program (both TV and radio), saying how he was just trying to scare the populace and other things. While at the same time their buddy George was buying Gold. On the hope Soros takes the final trip department: he trained one of his sons to run the hedge fund and that son now is in day to day charge of operations. So the heir is groomed and waiting in the wings. Reston, VA – North Dakota and Montana have an estimated 3.0 to 4.3 billion barrels of undiscovered, technically recoverable oil in an area known as the Bakken Formation. A U.S. Geological Survey assessment, released April 10, shows a 25-fold increase in the amount of oil that can be recovered compared to the agency’s 1995 estimate of 151 million barrels of oil. I’m familiar with the Bakken Shales. The problem is in that last word “shale”. The shale oil potential is gigantic (measured in Trillions of bbls) but the extraction cost is high and there is a lot of ‘spent shale’ to deal with afterwards. As oil prices rise, more of it becomes ‘recoverable’. We’ve also got a few Billion bbls in North Slope Alaska and more down in Texas chalk and… well, the list goes on. The simple fact is that within 5 years the USA could be completely energy independent. That it has not happened in the 40 years since the Arab Oil Embargo tells me that very powerful people have no interest in letting it happen. I’ve detailed the how-to-do-it several times (dozens?) over the decades, and nothing happens.